Jon Sealy. The Whiskey Baron. Spartanburg, SC: Hub City Press, 2014. Mary Jane Hopewell (born Wesley Hopewell, Jr.) has been a ne’er-do-well since he came back from the Great War. Unlike his brother who married and became a church-goer and steady worker at the mill, Mary Jane didn’t work much, preferring to spend his time drinking and scheming. Not long after Mary Jane moves in with a widow, Abigail Coleman, he thinks he has hit pay dirt. The widow has some of the most productive land in the county, land that she uses to grow corn. She sells a good bit of that corn to the local whiskey baron, Larthan Tull, but she also keep some to make her own moonshine. The widow’s moonshine is very good. Knowing that, Mary Jane starts selling it around the county. Tull has been looking the other way, ignoring this small scale incursion on his turf, but when Mary Jane reaches out to Aunt Lou, Tull’s distributor in Charlotte, Tull has to act. The murder of two young men outside Tull’s inn is just the opening move in a bloody chess game between two cold, focused men. The fictitious Castle County, South Carolina is home territory for Tull and Hopewell, but business takes them both to Charlotte to make deals with Aunt Lou. This novel reminds readers that state borders are historical lines on paper, but culture and business flow across them–for good and ill.
Kim Wright. 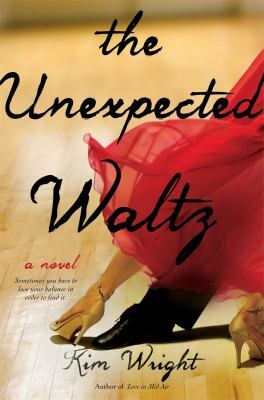 The Unexpected Waltz. New York: Gallery Books, 2014. Kelly Wilder Madison finds that she has walked into Canterbury Ballroom in Charlotte, North Carolina, when she meant to walk into the grocery store next door. At fifty-two, she has recently lost her older husband and has no idea what the next step in her life should be. Kelly never thought of making that next step dancing. But Kelly has never believed in accidents either. So when she is offered a free introductory lesson, she takes it and decides to come back for more. After spending the past twenty years of her life, “pretending to be a whole lot nicer, stupider, and more conservative than she really is,” Kelly must step out of her comfort zone in order to succeed in an activity that requires her to stand out, take big steps, and risk it all. Soon, Kelly realizes that she enjoys the demands put upon her by dance and is feeling more herself than she has in years. At first, Kelly is reluctant to venture into the group class. When she does, she begins to make friends in this new world, which reminds her that there was more to her life before she settled down and became a homemaker. On the road to rediscovering life, Kelly bonds with Carolina, a young mother in hospice. Carolina shows Kelly that it is never too late to begin anew. Also, Kelly forms an attachment to her dance instructor, Nik, who she longs to protect like he’s the son she never had. Free-spirited Elyse, who has been Kelly’s best friend since their days of youth, also inspires Kelly to breakout. These connections all help Kelly to regain confidence in herself. She gains the courage to confront the fact that she failed her marriage as much as it failed her. She also develops the strength to face the man who got away. Finally, she learns to embrace the little moments that can lead to life changing experiences. 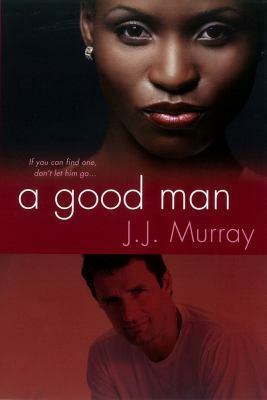 J. J. Murray. A Good Man. New York: Kensington Books, 2013. Sonya Richardson likes a quiet life. After ten years in the WNBA and some wise investments, Sonya has a nice income stream and a lovely home in Charlotte. But she’s living in that big house by herself and feeling a bit lonely and bored. Out of the blue, her publicist calls to ask her to star in “Hunk or Punk,” a reality TV show in which a bachelorette must pick a partner from dozen men vying for her hand. 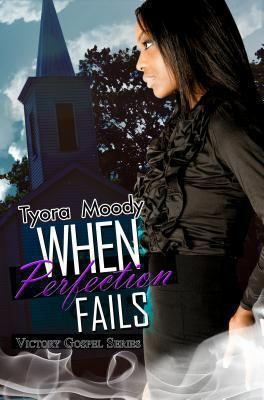 Sonya knows better than to get involved, but when her publicist signs the contract, Sonya has no choice but to be “the Nubian princess” at the center of the show. But Sonya is her own person. Her unscripted behavior–taking off her uncomfortable shoes in the first episode, the odd “challenges” she gives the men, her unwillingness to dump suitors on schedule–make for interesting viewing. And Sonya is not the only surprisingly element in the show. John Bond, a widower from Burnt Corn, Alabama, is the token white suitor. John is an assistant deacon at the AME church in Burnt Corn, a deeply religious man who has been mourning his late wife for fifteen years. He and Sonya connect in ways that the producers could not anticipate. A Good Man takes readers behind the scene of reality TV with funny situations and crisp dialogue. It’s clear that Sonya and John are strangers in that strange land, but their faith and their self-knowledge guide them, and even some of the people around them, to a true happily-ever-after. Courtney Giardina. Tear Stained Beaches. Florham Park, NJ: Take Two Publishing, 2013. Haylie met Chase when she was a senior in college. Chase, then a law student, had been captain of the college soccer team and was known around campus for his good looks and good character. When Haylie and Chase become a couple and eventually marry, Haylie feels that her life is truly blessed. But trouble enters their life after Chase takes a job in Charlotte. Haylie has difficulty finding a job, and she finds little support from the women in her upscale neighborhood, who think that her career aspirations are a bit odd. Meanwhile, Chase becomes ever more absorbed in his work–staying late, bringing home paperwork, and being inattentive and short with Haylie. Just when Haylie thinks she can come to terms with this, it gets worse. Chase texts at all hours of the day and night, and he starts taking many more trips–without Haylie. Haylie fears that Chase is having an affair. When her suspicions are confirmed, she flees to a small island on the Carolina coast. There she finds a woman she can confide in–someone who offers sisterhood in a way that Haylie’s Charlotte neighbors did not. But this friendship brings with it unexpected pain. Written in the first person, Tear Stained Beaches, takes us inside Haylie’s mind. Happy memories are interspersed with an linear plot that takes Haylie from the first moments of attraction through betrayal and to a life that she builds on her own. This realistic, generous novel comes with book club discussion questions and a Q and A with the author at the end. Kathy Reichs. Bones of the Lost. New York: Scribner, 2013. Things just aren’t going Temperance Brennan’s way. At the opening of Kathy Reichs’ sixteenth installment of her best-selling Temperance Brennan series, Temperance is stuck tapping her toes in a very uncomfortable pair of Louboutin pumps at the Mecklenburg County Courthouse. She was called for jury duty and even though her role as medical examiner will exempt her from selection, the inexperienced prosecutor makes Brennan jump through all the hoops first. Because losing more than half a day wasn’t enough, Brennan locks herself out of her car with her purse and cell phone inside. After several unsuccessful attempts to jimmy open the lock and an awkward exchange with an overeager parking attendant turned vigilante, an unwanted savior arrives. Police detective Erskine “Skinny” Sliddell appears and gives Brennan a lift back to the Medical Examiner’s office. But not before filling her in on the latest case. Early that morning, an unidentified teen was killed in a hit and run. Although the girl didn’t have any form of ID for herself, she was carrying John-Henry Story’s U.S. Airways club card. Story was a businessman who died when a fire broke out at his flea market six months ago. Or at least, Brennan determined that the remains found at the scene fit the profile for Story. Sliddell speculates that the Jane Doe was involved in prostitution, based on her possessions, her estimated time of death, and her location. 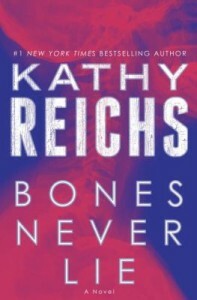 When Brennan returns to the Medical Examiner’s office, she examines the Jane Doe’s body. Because of the nature of the case (young, innocent victim and brutal death), Brennan struggles to not let her emotions overrule her logic, especially when she rules the supposed accident to be something more sinister. The Jane Doe wasn’t killed by accident, she was murdered. Brennan is already busy though. She has four sets of mummified dog remains from Peru that she must certify as human or nonhuman. U.S. Customs seized the remains from former Marine, Dominick Rockett upon his reentry to the country. Rockett has a history of smuggling smaller antiques and trinkets out of South America. His usual inventory consists of inexpensive jewelry, crafts, and home wares. But apparently Rockett is expanding his market. The two crimes run parallel at first, but as Brennan investigates with a keener eye, she identifies that both cases involve illegal trafficking of goods and that some of the implicated figures overlap. Meanwhile, Reichs weaves in elements of Brennan’s personal life into the story. Her daughter Katy has enlisted in the army as a means to recover from the grief of her boyfriend’s unexpected death. Katy soothed her mother’s anxieties by reassuring that she would never be sent into combat. Then the US Army lifted the ban on women in combat and sent Katy to Afghanistan. But Brennan gets the opportunity to visit Katy overseas. Her estranged husband Pete, who is pressuring her for divorce papers, pressures Brennan into traveling to Afghanistan to help out an old buddy’s nephew who is accused of shooting two unarmed villagers. Pete wants Brennan to exhume the bodies and take the stand as an expert witness. With the promise of seeing Katy, Brennan boards Turkish Airlines to do a little extra detective work. And, as it turns out, Brennan owes Pete a huge thank you. Going to Afghanistan helps her lace the evidence together and reveal a surprising conspiracy at work. 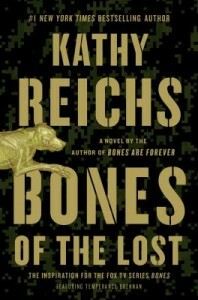 Browse the blog for other coverage on Reichs’ Temperance Brennan series. You can filter the search by clicking on and navigating through the author category in the top right-hand column. With this view you can see all the past authors we have blogged about and the number of entries available. Or click on the categories and tags below. Glen Hirshberg. Motherless Child. Northborough, MA: Earthling Publications, 2012. Friends and recent mothers, Natalie and Sophie are enjoying a night out in Charlotte, drinking, listening to music, and meeting men. Natalie and Sophie seem like a typical pairing of opposites: where Natalie is coolly observant, Sophie is fun and free-spirited. At a bar, they meet a bizarre performer called the Whistler. The Whistler is fixated on Natalie. He first saw her, secretly, the night before working a shift at a Waffle House. After that brief encounter, the Whistler decided that Natalie is his “Destiny,” that she is bound to be his companion for eternity. So later that night, he turns both women into vampires. The next morning Natalie and Sophie awake in Natalie’s car, disoriented and not fully certain of the last night’s events. However, their ripped clothing and dried blood give them a good idea that things are not totally right. Soon, Natalie and Sophie begin their inevitable transformation. Natalie recognizes the threat of the Whistler and his current companion, Mother. She asks her mother, Jess, to take her and Sophie’s children and to disappear. Natalie plans to go into hiding with Sophie. Sophie, though, is not keen on the idea of being separated from her child and she fights Natalie most of the way. But in short order Jess and the children and Natalie and Sophie flee their trailer park, Honeycomb Corner, heading in opposite directions with the Whistler and Mother at their heels. The Whistler is bent first on finding Natalie, and then, on finding the children to threaten Natalie into submission. Mother, meanwhile, is just bent on destruction. Natalie and Sophie try to suppress the new hunger they feel growing inside of them that compels them to complete their transition. As they head further South, toward the alligator-filled swamps of Florida, both women long to reunite with their babies and return to their homes, ignoring their intuition that neither of them can go back to normal. Paths cross and characters collide in a thrilling final show down. Motherless Child was published in limited release by Earthling Publications to celebrate Halloween. But the novel isn’t your standard vampire story. Hirshberg’s tale is an unusual amalgamation of one part buddy road-trip, one part action-fueled chase, and one part supernatural horror. In fact, the word “vampire” is hardly, if ever, uttered between the pages. Hirshberg taps into a few traditions, yet for the most part these are vampires quite unlike the broodier stock of recent pop culture. They use Twitter and they don’t have fangs–but they do delight in violence. These are vampires of a much more wicked constitution — one that would pale lovers of Twilight and related vampire romance.